Apple hasn't had a great deal of festive cheer this season. First and foremost its shares dropped yesterday as analysts noticed lower than expected demand for the flagship iPhone X. Secondly, and this story has been brewing for a week or more, Apple is being sued for throttling older iPhone speeds to prevent battery performance fade. 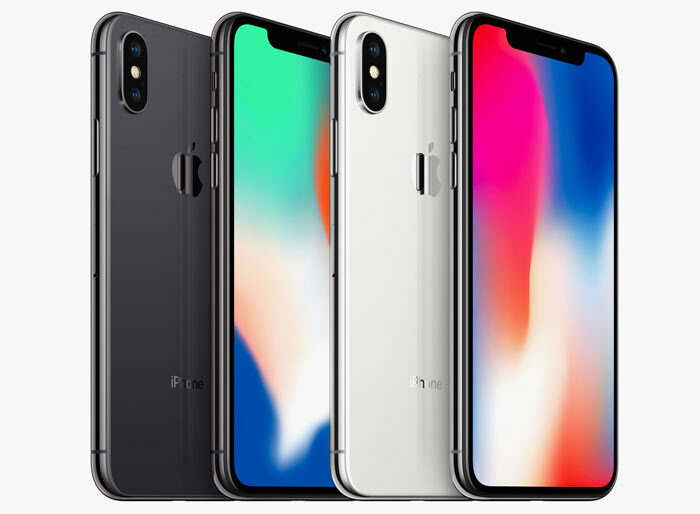 Newsweek published an article today with a headline explaining that the Apple iPhone X is priced too high and citing analysts predicting the $1K flagship will be a flop. With the Xmas pressie purchasing window now closed, lower than expected demand for the iPhone X was observed. 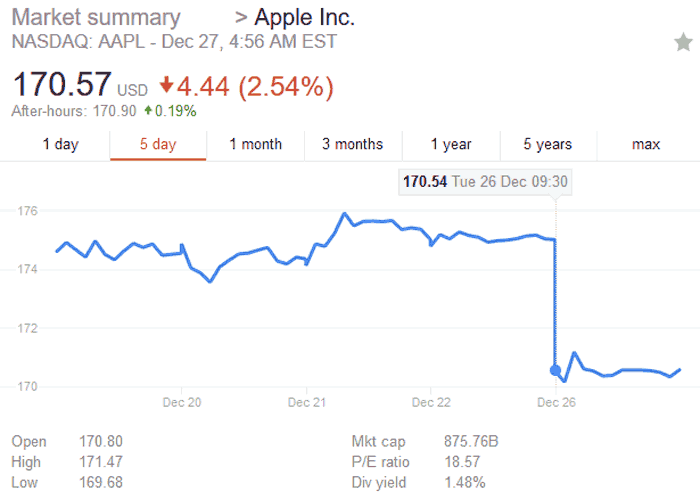 As the news broke on Boxing Day, Apple's shares fell sharply due to investor disappointment. It is thought that with the first rush of sales to Apple enthusiasts now over, iPhone buyers will opt more often for the $699+ iPhone 8 models. Another analyst dismissed the iPhone X as being pricy but offering "a lack of interesting innovations". But it's not just people opting for the cheaper more traditional iPhone designs, other industry watchers think that Samsung has made a strong comeback with its latest handsets and in China people are being drawn to local brands such as Xiaomi, Oppo and Huawei. About a week ago Apple admitted it was slowing down older iPhones with its newer OS releases. It claimed to be doing so, not as a sneaky way to nudge people into upgrading to newer iPhones, but to "smooth out" user battery life experiences, compensating for the battery degradation in older iPhones. Today CNBC reports that there are now eight lawsuits in various US federal courts over this issue. The common complaint is that Apple defrauded iPhone users by slowing devices without warning to compensate for poor battery performance. Additionally Apple's OS tweaks "may have led iPhone owners to misguided attempts to resolve issues over the last year," say the lawsuits. In a San Francisco-based lawsuit the complaint is specifically that the software patch(es) mask a defect. 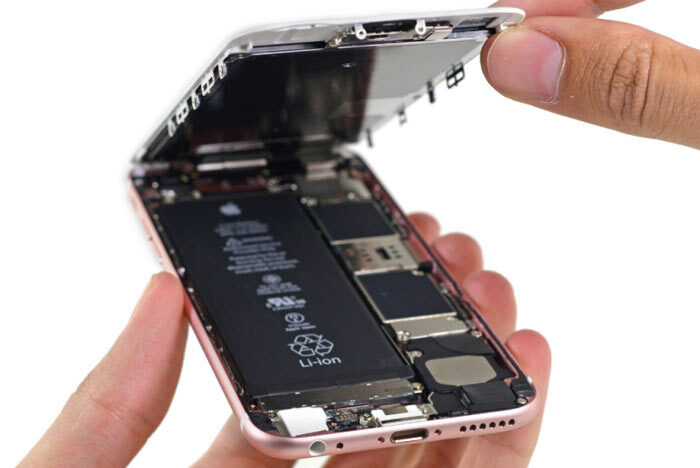 "Rather than curing the battery defect by providing a free battery replacement for all affected iPhones, Apple sought to mask the battery defect," says this specific lawsuit in Apple's home state. People bought new iPhones when performance dropped, instead of simply seeking a new battery, unaware of the trivial fix possible. All the US lawsuits are said to be class action cases, representing potentially millions of iPhone owners across the country. My upgrade was due around a week before Christmas, after talking to my provider about the X and 8+ I decided to go for an iPhone 8 Plus (needed a bigger screen as eyes aren't the best! )the 6 I had was a decent handset in all fairness and I hadn't noticed it being any slower. Apple has out-Appled themselves. They've driven their own prices beyond what their consumer base is willing to pay, and what a large part of them is coming to understand about the lack of quality when it relates to Apple products. People are starting to see more and more how Apple builds in 13-18 month obsolescence through cheap components, or components that are run right at the very edge of their limits.